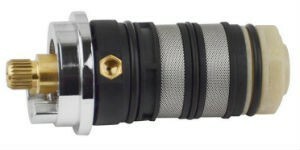 Powered by The Shower Doctor, showercartridges.com is pleased to supply shower and tap cartridges from all the major manufacturers. Please select your shower brand from the list below and you will be taken to the relevant section of the Shower Doctor website. If you are unsure which cartridge you need, simply give our experienced sales team a call on 0131 538 4343. 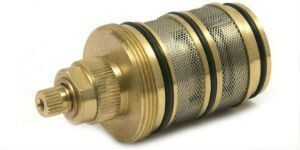 What is a shower cartridge? 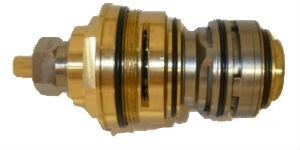 A shower cartridge is a mechanical device that is housed within the body of a mixer shower. 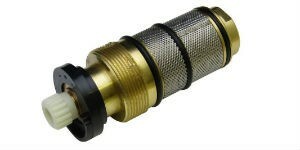 The job of the cartridge is to blend hot and cold water supplies to give an output flow at the desired temperature. 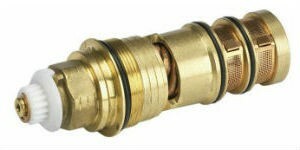 In additional to blending cartridges, some showers have separate flow cartridges to turn vary the water supply from off to fully on. 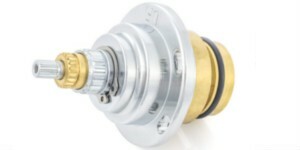 Most showers have removable shower cartridges as they can fail, wear out or require routine maintenance; this is particularly so with thermostatic cartridges. 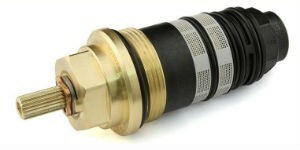 Repairing or replacing a shower cartridge is nearly always less expensive than replacing the entire shower. How do shower cartridges work? 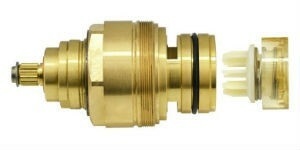 Shower cartridges are essentially self-contained valves with a function to perform. Some control the flow of water, others divert water between two outlets – for example from an overhead showerhead to a hand-held showerhead – and the majority blend hot and cold water supplied. 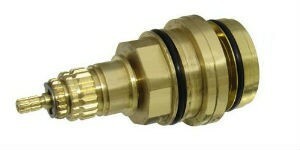 Manual mixing valves have a hot and cold input port and a plate or mechanism that closes one port at the other opens. This allows the user to adjust the cartridge (via an external lever) such that either port can be fully open or any blend ratio in between. 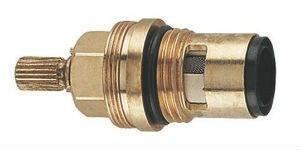 Thermostatic cartridges are a little more complicated and are a common serviceable or replacement part. 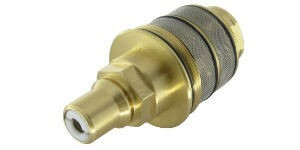 A thermostatic shower cartridge blends hot and cold water supplies in much the same way as a manual valve. However, once the user has set the desired temperature the cartridge will adapt to maintain that temperature even if the supply conditions fail. 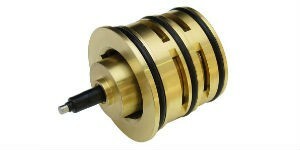 It can do this because the cartridge has either a heat sensitive metal coil or wax within its mechanism. As the coil or piston [in the case of wax cartridges] moves the ports are opened and closed is if the user had made an adjustment to the lever. Taking an extreme example, if the cold water supply failed the wax or spring would rapidly heat up and expand causing the hot water port to close. 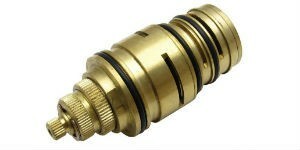 In this extreme case the thermostatic cartridge would shut off the shower preventing a scald. In more typical use, the cartridge adjusts to maintain the desired temperature even during local variations (such as flushing the toilet). Is it easy to replace my cartridge? 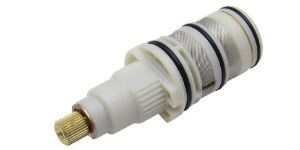 Replacing your shower cartridge is usually fairly straightforward. Obviously some shower models are more difficult than others. 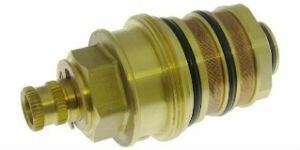 Crucially, the cartridge is designed to be removed so it is seldom a challenging task. Instructions for your shower/cartridge are usually easy to come by and it goes without saying that the water supply to the unit should be shut off before attempting to dismantle your shower valve. If you are unsure, consult with a qualified Plumber or phone The Shower Doctor for advice.